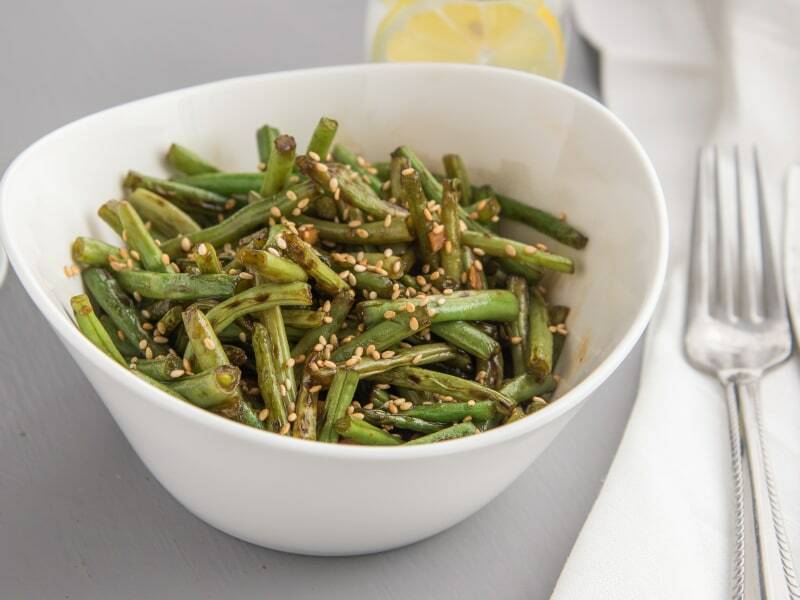 This tasty vegan side dish is done in minutes—the thing that will take you the longest is trimming the green beans! 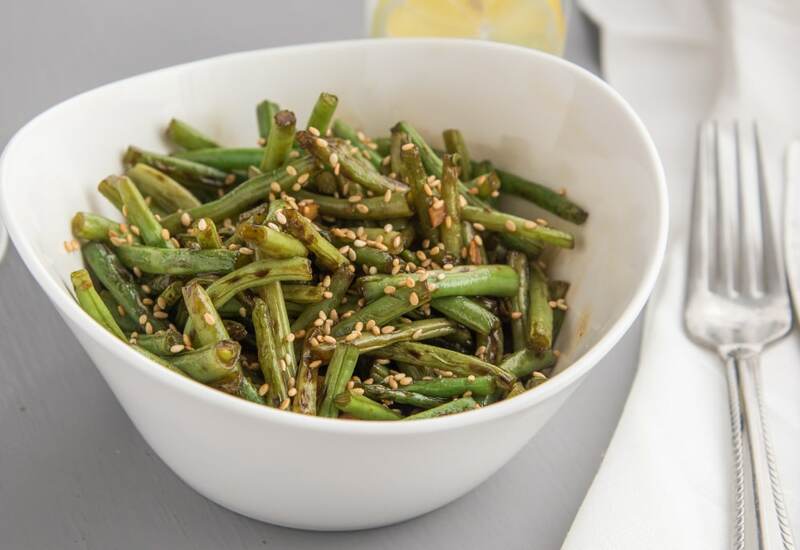 In this Asian-inspired recipe, green beans are simmered with a savory soy, garlic and ginger sauce for a flavorful, healthy side that does with just about everything. Coconut sugar adds a little sweetness, but you could also use brown sugar in a pinch. Blanching the green beans before sautéeing with the sauce results in crisp-tender texture—no mushy vegetables here. Sprinkle with sesame seeds for a little added crunch if you like! Not only do ginger and garlic add lots of flavor to the beans, they're also very good for you. Both are rich in anti-inflammatory properties. Add a little heat if you like by sprinkling a pinch of crushed red pepper flakes in with the other aromatics. Per Serving: 100 calories; 5g fat; 13.3g carbohydrates; 3g protein; 0mg cholesterol; 968mg sodium. My family thinks green beans are pretty boring but I made this recipe for them with the ginger and garlic and the loved it! So good! I'm testing out my Thanksgiving menu and this dish is on it! I love the Asian-inspired influence with the green beans, very good. I would also use this sauce on edamame. I enjoyed it thoroughly!